Earth Week Focus & Giveaway: Day Seven! Welcome to Day Seven, the final day of my Earth Week Focus! 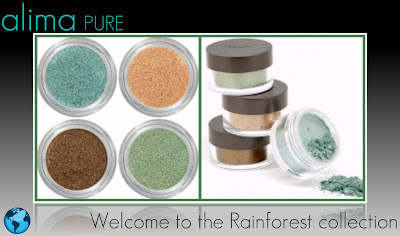 Alima Pure is a cruelty free natural mineral cosmetics line that strives to create greater economic opportunity, strengthen local communities, and preserve the environment. Each year they donate a percentage of their annual gross revenue to environmental organizations working to protect our planet. They also happen to make a fantastic range of minerals in gorgeous shades with flawless application and coverage. This collection is available for a limited time. $2 from each collection sold will be donated to the Rainforest Action Network. I reviewed this set previously, so if you'd like to view some swatches, you can find those here. 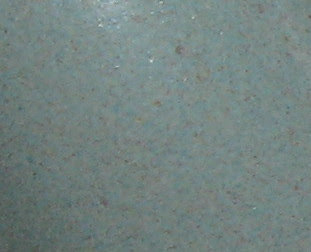 I've mentioned before that in addition to using Alima minerals for their intended purpose, they also work great as color additives for Franken nail polishes. I wanted to make something to wear today for Easter that resembled a delicate robin's egg. While I'm still in the midst of preparing our Easter dinner so I haven't yet done my nails, here's a quick look at what I came up with using Macaw and a sprinkle of Jaguar mixed into a white creme. I'm very happy with the way it turned out! The mineral texture gives it a satin finish, just like a real egg. Maybe I should say an "egg shell" finish! 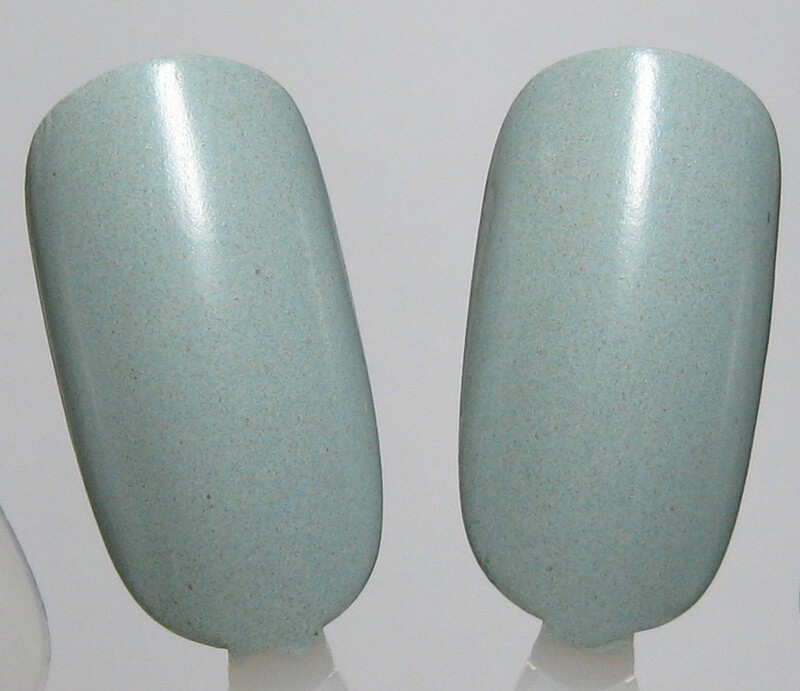 I took these pictures in darker lighting, but outdoors in the sunshine it has some hidden shimmer. The two shades I used from the Rainforest Collection were a perfect combination for the tiny speckles I'd hoped to get for my robin's egg look. One winner will receive the full-sized set of Welcome to the Rainforest, and my thanks go to Alima for joining in my Earth Day celebration. Because this prize will be mailed directly to the winner from Alima, this is only open to U.S. followers. As with all of the daily Earth Day Focus prizes, entries will be accepted through midnight tonight. Please leave your eMail below in the comments if you'd like to enter. mineral eyeshadow is one of my favorite things ever! I'd like to enter, thanks!! I remeber those swatches! The colors are so sparkly and pretty. Those are pretty! Thank you, Mary! These are lovely colors and your swatches are great. Thanks for all of the giveaways you've had for Earth Week. I love the way you mixed those.